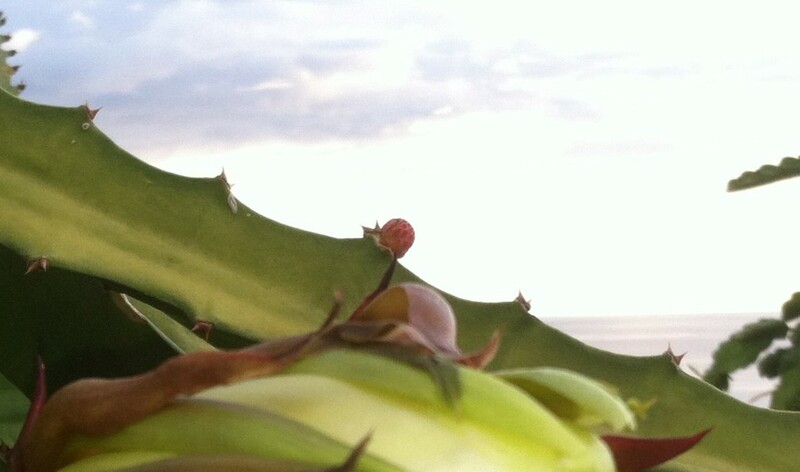 Newly emerged flower bud on a Selenicereus Megalanthus dragon fruit vine. The buds emerge from the spot on the vine occupied by thorns. This bud will flower in 10 to 14 days, producing a white fleshed yellow skinned dragon fruit.